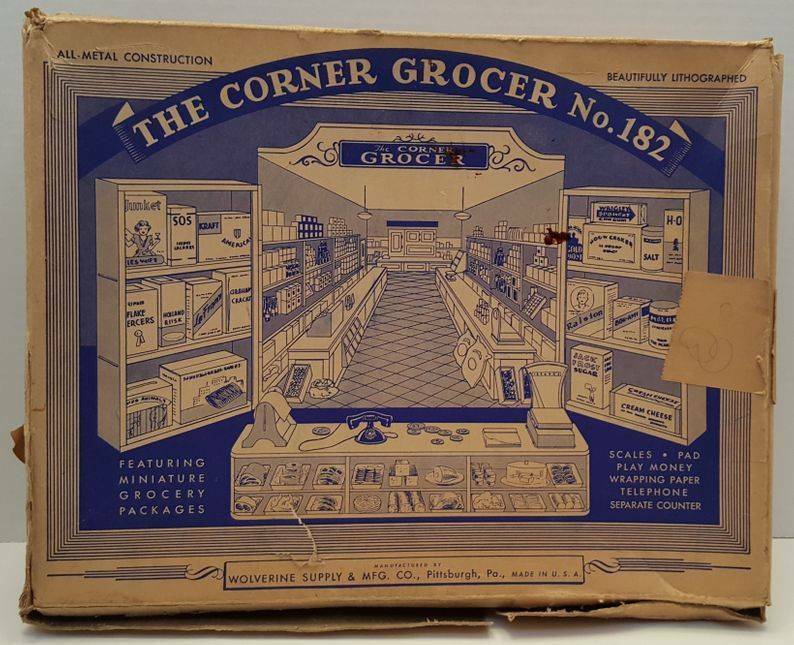 Wolverine Corner Grocer with box, the box has nice graphics, same on front and back, and show what would have come with the store originally. 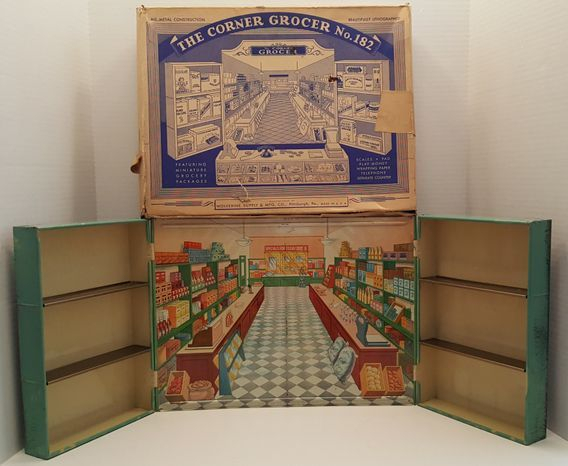 The box is fragile with tears, bends, and is missing 2 inner end flaps that would tuck inside when closed. 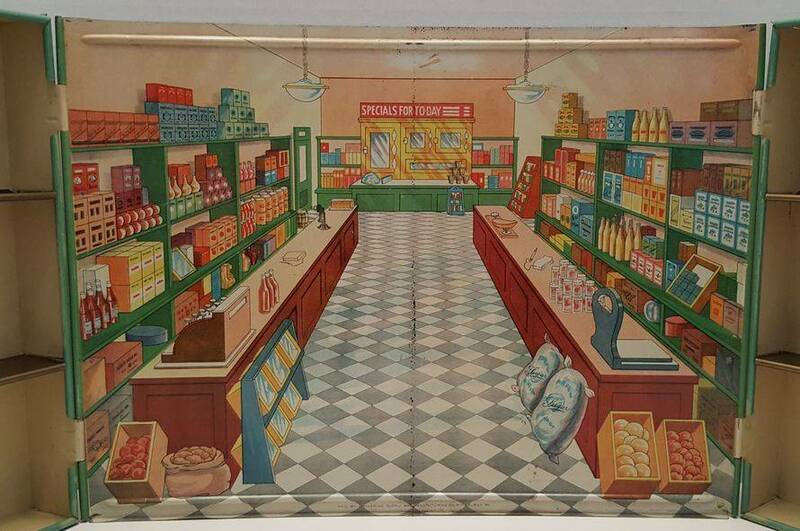 The tin store is missing the "Corner Grocer" sign, counter, food and other accessories. It comes empty as shown. 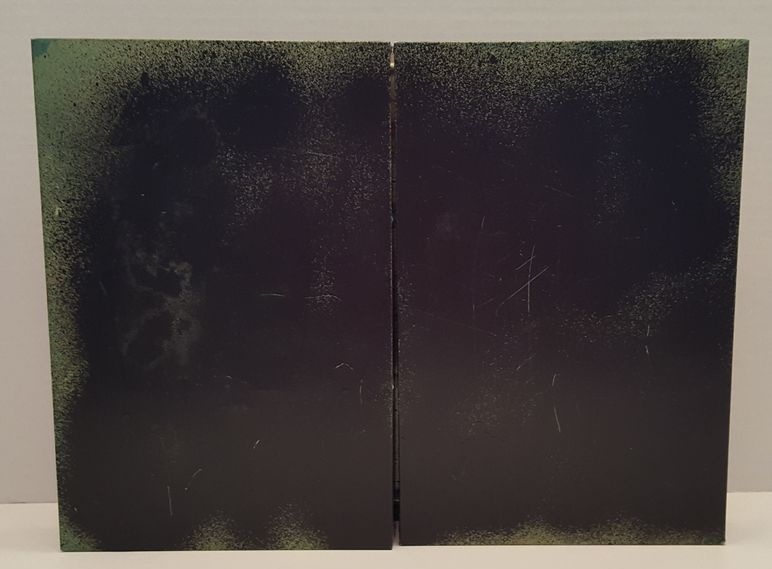 The store is in nice condition on the front, but has some black spray paint on the back side of the shelf sections with some over spray on the top and sides. 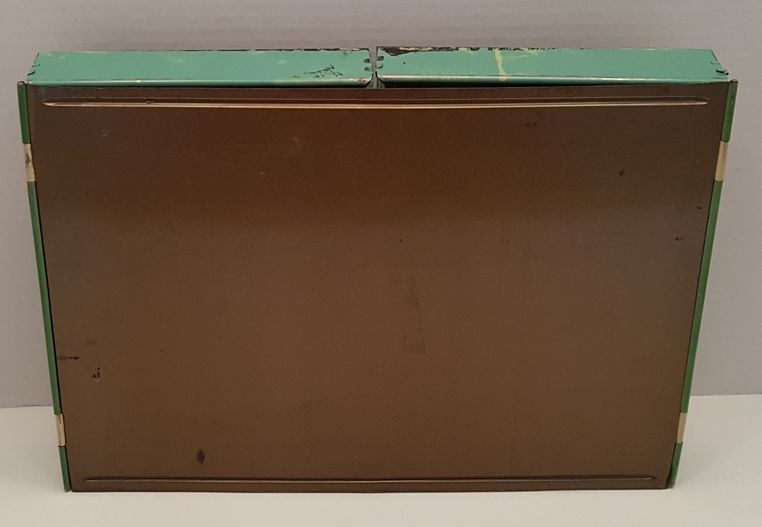 Box measures 16" x 12 1/4" x 3"